Clifton Green Primary School is committed to safeguarding and promoting the welfare of children and expects all staff, visitors and volunteers to share this commitment. The Headteacher Dave Brown has overall responsibility for safeguarding and Kerry Haithwaite, our Inclusion Support Worker is our Designated Safeguarding Lead (DSL). We have a number of policies and procedures in place that contribute to keeping children safe including our Child Protection Policy which can be viewed below and on the Policies page of this website. Occasionally, we may need to share information and work in partnership with other agencies when there are concerns about a child's welfare. 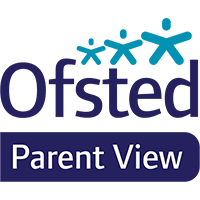 We will ensure that our concerns about our pupils are discussed with parents and carers first unless we have reason to believe that such a move would be contrary to the child's welfare. Clifton Green actively support the Government's Prevent Agenda to counter radicalism and extremism. We are part of Operation Encompass run jointly between all schools in York, City of York Council and North Yorkshire Police. This new project has been designed to provide early reporting to schools of any domestic abuse incidents that occur outside of normal school hours and that might have had an impact on a child attending our premises the following day. More information can be found in the letter below.